CAIRO (AP) — Yemen’s government and the Houthi rebels have agreed on the first stage of a mutual pullout of forces from the port city of Hodeida, a key entry point for humanitarian aid, the United Nations said. Under the U.N.-brokered agreement reached in December, both sides agreed on the redeployment of forces out of Hodeida, which is currently controlled by the Houthis. Local authorities and police would run the city and its three ports under U.N. supervision. The first stage of implementation, agreed upon over the weekend, would see both sides withdraw forces from the ports of Hodeida, Salif and Ras Issa, which handle about 70 percent of Yemen’s imports. 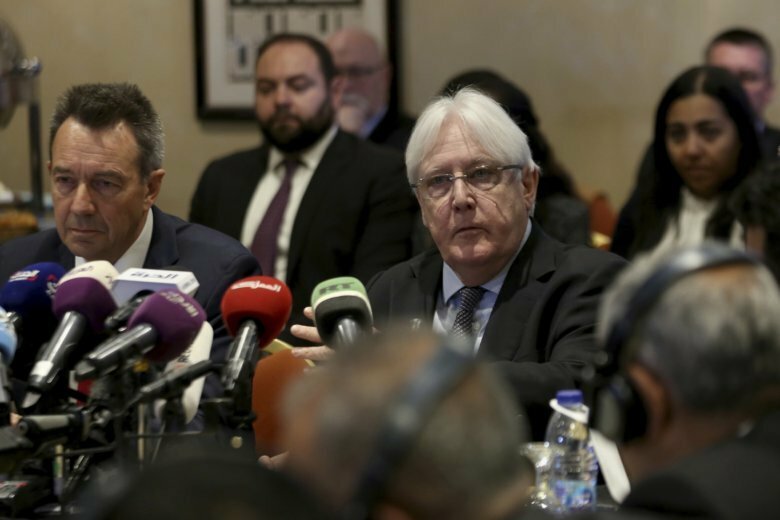 U.N. envoy Martin Griffiths meanwhile departed from Sanaa on Monday, a day after meeting with rebel leader Abdul-Malek al-Houthi to discuss the “complex situation” in and around Hodeida.